On October 7, 2018, the UN Intergovernmental Panel on Climate Change (IPCC) released the final draft of a Special Report on Global Warming of 1.5C, which is intended to galvanize political support for doubling down on the Paris climate accord ahead of a U.N. climate summit this December. The report calls for societal changes that are “unprecedented in terms of scale” in order to limit future global warming to below 1.5 degrees Celsius, the goal of the Paris accord. According to the Daily Caller, Oct. 8, 2018, the IPCC Special Report claims that to keep future global warming below 1.5 degrees Celsius, greenhouse gas emissions must be reduced to 45% of 2010 levels by 2030, that is, in less than 12 years; and 100% reduction by 2050. To achieve those goals, the world would have to largely abandon its use of coal for electricity, and use more solar and wind power. The report says the costs of such a transition would be high, and options could include a carbon tax as high as $27,000 per ton by 2100. 4.1 There is very high likelihood that under current emission trajectories and current national pledges the Earth will warm globally more than 1.5°C above preindustrial levels, causing associated risks. The nationally determined contributions submitted under the Paris Agreement will result, in aggregate, in global greenhouse emissions in 2030 which are higher than those in scenarios compatible with limiting global warming to 1.5°C by 2100. More ambitious pledges would imply higher mitigation costs in the short-term, albeit offset by a variety of co-benefits, but would lower both mitigation and adaptation costs in the long-term…. 4.4 Limiting global warming of 1.5°C implies the need for transformational adaptation and mitigation, behaviour change, and multi-level governance…. A broad portfolio of different mitigation policy options, including carbon pricing mechanisms and regulation, would be necessary in 1.5°C pathways to achieve the most cost-effective emissions reductions…. Reduction in energy demand can also be achieved through behaviour change…. Policy instruments, both price and non-price, are needed to accelerate the deployment of carbon-neutral technologies. Evidence and theory suggests that some form of carbon pricing can be necessary. The Democrat Party had called for a price on carbon dioxide in their 2016 party platform, but they haven’t made much effort on that front since the failure of cap-and-trade legislation in 2010. This July, GOP lawmakers overwhelmingly passed a resolution opposed to carbon taxes, despite a bill introduced by Rep. Carlos Curbelo to tax carbon dioxide at $23 a ton — nowhere near what the IPCC calls for. See “Why President Trump got U.S. out of bad-for-America Paris Climate Accord“. This entry was posted in Global Warming / Climate Change, Global Warming Nazis, globalism, Liberals/Democrats/Left, Taxes, United Nations, United States and tagged Paris Climate Accord, UN Intergovernmental Panel on Climate Change, UN IPCC, UN Special Report on Global Warming of 1.5C. Bookmark the permalink. The REAL reason behind the climate change hoax, straight from the IPCC’s mouth. Psychiatric advice to engage in green activism to overcome intense feelings of eco-anxiety is producing some fascinating outcomes. Shutting the hell up would go a long way to reducing the amount of hot air emmisions. To do something even close to this plan would destroy the world economy. Why don’t we round these criminals up and try them for crimes against humanity. And throw The U.S.’s political establishment and the msm in with them too. Time for a purge! YOUTUBE HAS BEEN SHUT DOWN. It happened at 7pm Calif time. Let me get my checkbook. Let’s see, that’s Al who? This is a chump tax. Time to break out the 1,000-year reign of natural gas and coal in America and let the rest of the world DEAL with it/us instead of visa versa…. I want the UN hung by neck until dead…..well hey…everyone has dreams. Mine is more likely than $240 a gallon gas. (Liberal) Doublethink is the act of simultaneously accepting two mutually contradictory beliefs as correct, often in distinct social contexts. Doublethink is related to, but differs from, hypocrisy and neutrality. Also related is (Liberal)cognitive dissonance, in which contradictory beliefs cause conflict in one’s mind. Perfect example: Liberal/Bolsheviks being “For” the mass immigration invasion of tens of millions of green house gas spewing, wildlife habitat destroying, polluters, while also claiming to be “For” the environment, reducing globull warming green house gases, protecting wildlife habitat, reducing pollution etc. I wish we could just get out of this terrible organization! What do you have in the UN, a bunch of NASTY BUREAUCRATS self serving in the EXT R EME, !!! Jumping on any thing to help LOONEY LEFTIES to exercise power. Th row out the scum, from the USA. To gain an insight into what they are was the BEHAVIOR during a strike at the UN by the food serv ice staff, look it up! 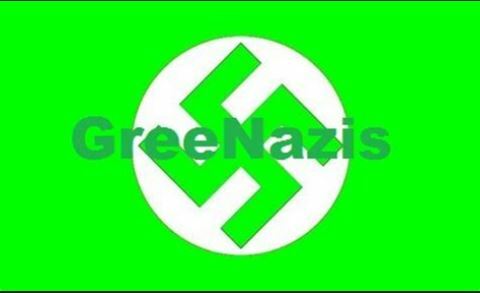 Did you say GreeNazis or GreeDNazis? “Global Warming (TM)”, is caused by not sending y0ur parasites enough money. The only “cure” for it is to send more. Kanzius discovered that 13.56 megahertz RF energy split saltwater at an efficiency worth shutting up about after verification by an independent lab. Stanley Meyer was murdered because he could run a dunebuggy on water. He had a system, too. Other inventors used catalysts involving the metals vanadium and molybdenum. The technological problem’s been solved. It’s greed, fear, and pride that prevent implementation. The U.N. is full of feces. It’s a bunch of international communists and criminals. I think it is time for Trump to have the Underfunded Nations building bulldozed into the river and replace it with a parking deck. Why don’t they just make us put square stone wheels on our cars? That would be cheaper. No, no, wait! Put triangle stone wheels on, that would eliminate one bump! I think the U.N. should change their motto to “Stand and Deliver”. All of these initiatives are designed to impoverish us. Soon we’ll be luck if we’re ‘allowed’ an allowance. There is going to be a major war between the animal/bird rights conservationists and these idiot climate control freaks with their solar & wind power that are severely detrimental to nature.